214, a photo by DarrenNunis on Flickr. A year later, another cathedral shot. 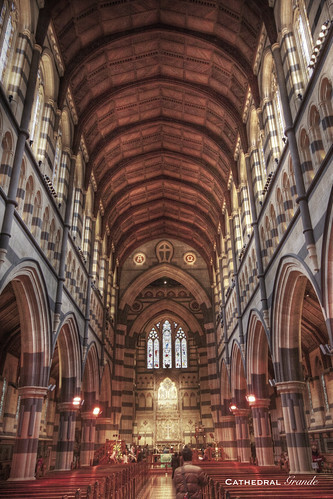 Took this on the first day of Melbourne Open House with a borrowed 10-20mm. Got to say I'm loving the wide angle lens a whole lot. Thanks James. More tomorrow.